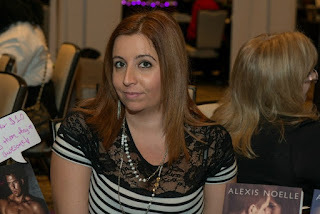 Just like falling in love, once you start reading an book written by Alexis Noelle you’ll never stop wanting more. She writes amazing books and this is just a sample. This book isn’t just one book it’s 4 books in one. These are some of my personal favorites from Alexis Noelle. Its like she hand picked the ones I love the most! I’ve already read and loved Keeper her, Corrupted, shattered innocence. But the one I haven’t read yet is Fall for me. But after reading it. I love it and want more. Plus their a sneak peek of Kiss my crown. Corrupted is one is my favorite because it opened me up to loving biker books. This one is the first book in the Death Stalkers MC Series. Poor Lucy is in serious danger from her own family. She ran to get away from their sick idea of Lucy’s future. She ends up hiding in a warehouse owned by the Death Stalkers MC. She’s is discovered there. What will happen once they find her? Will they help her or turn her away? This one is a great first book in this series. Note: some scenes are hard to stomach. But once you read about these bikers you’ll want more and there is more to read in this series. Keeping Her another amazing story of high school sweetheartsJulia and Brian. The night before Julia’s trip to foreign country for the summer changed everything for these two. Devastated Julia leaves and doesn’t look back. She never gave him a chance to explain.Six years later they meet again. What will happen now? Will Julia finally hear what happened that night. This is a great second chance a love romance. I just loved it and you will too. 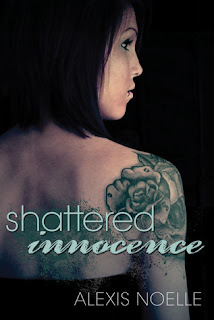 Shattered Innocence, a first in the series is the story of Jessica and Damon. Jessica parents never wanted her. She left and is determined to make it through college and have a better life herself. To pay for college she works as a call girl. This is where she meets Damon and sparks fly. Then everything blows up. Will these two be able to make it. I thought this one was smoking hot ! It’s a must read! Fall For Me is a standalone story Madison and Carter story. Madison life before Carter was filled with abuse, loneliness, loss and no love. She lost her mom and was put into the foster system because her dad blamed her for her moms death. She was bounced from home to home. She start college in a abusive relationship with Chris. It isn’t until she meets Carter that she quickly learns what love really is. This book is filled with so many painful moments in Madison past but she is working to recover and move forward. Its inspiring and beautiful that she realizes family isn’t always the one your born into. Its amazing and love it. Kiss My Crown is a sneak peek at Alexis Noelle’s coming soon book. A Princess and her Prince Charming. I so can not wait to read this book. 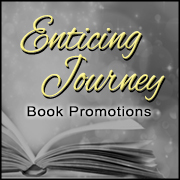 Amazing book that has 4 amazing 5 star books! One click it ASAP! Loved it!